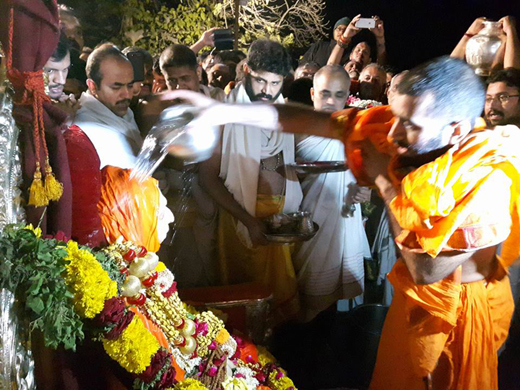 Haridwar, Jan 18, 2016: Sudhindra Thirtha Swamiji, senior pontiff of the prestigious Shri Kashi Math Samsthan of the Goud Saraswat Brahmin (GSB) community, attained ‘samadhi’ at the Kashi Math, Haridwar, at 1.10 am on Sunday. 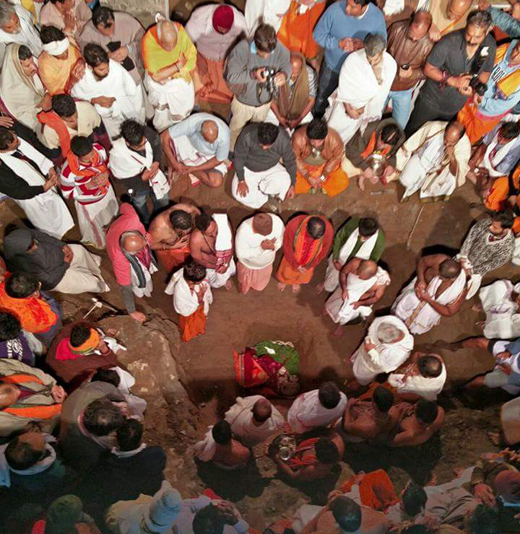 His last rites were performed at Haridwar in the evening. 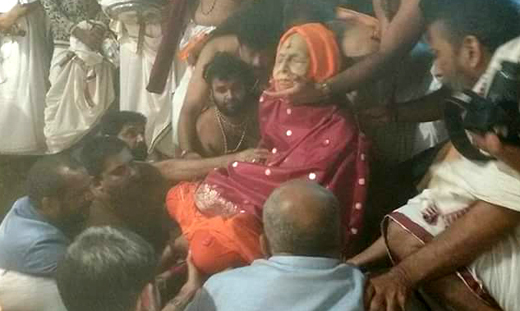 Sudhindra Thirtha, the 20th Swamiji in the Guru Parampara, had his ‘Navathi’ (90th birth anniversary) in April 2015. 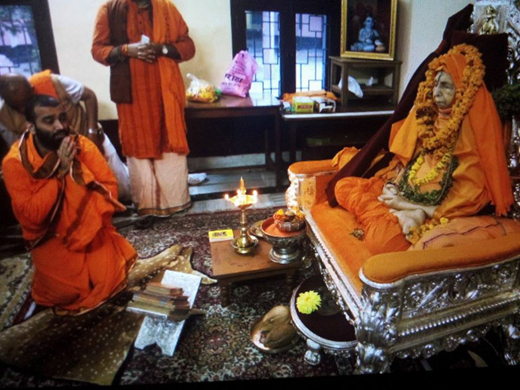 He took charge of the Kashi Math Samsthan in 1949, following the ‘samadhi’ of his guru in Kochi. Born in Ernakulam district on March 21, 1926, as the son of Ramadas Shenoy who was a trustee of the Shri Venkataramana Temple, Kochi, Sudhindra Thirtha was known as Sadashiva Shenoy, before being initiated into ‘sanyasa’ by the Shrimath Sukrateendra Thirtha Swamiji in 1944. He pursued his Pre-University education at Maharaja’s College in Kochi with Natural Science, Physics and Chemistry as the main subjects. 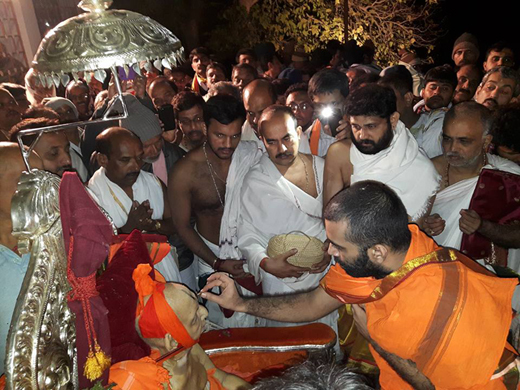 He had an inclination towards spiritual life, and attracted the attention of Shrimath Sukrateendra Thirtha Swamiji who chose the ‘college student’ as his successor, to lead a large section of the community.Later, he mastered Sanskrit at Bhuvanendra Sanskrit College, Karkala, and became a great scholar in the ‘Dwaita’ philosophy. 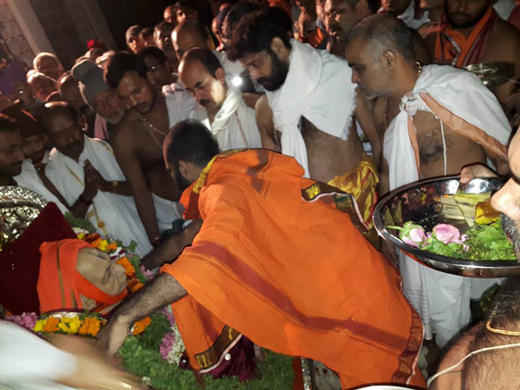 The strong traits of the functioning of Sudhindra Thirtha Swamiji were kindness, compassion, generosity and breadth of vision. 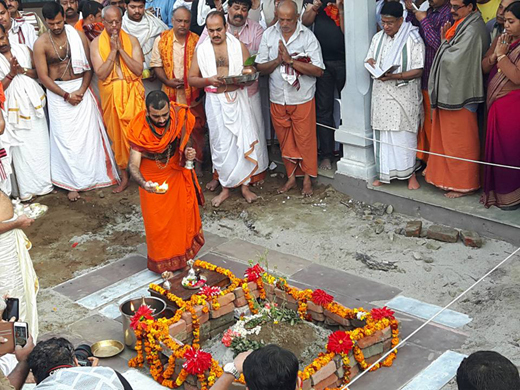 He, like his predecessors, performed installation and re-installation ceremonies at various temples across the country. He travelled from Kanyakumari to Badrinath, meeting disciples and exhorting them to lead a life of morality and religion. 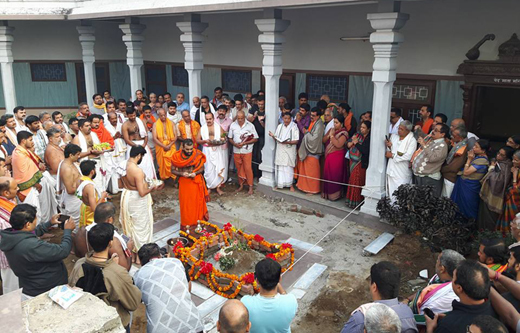 He also conducted ‘pujas’ with unbound devotion and single-pointed concentration, always praying for welfare of the community. 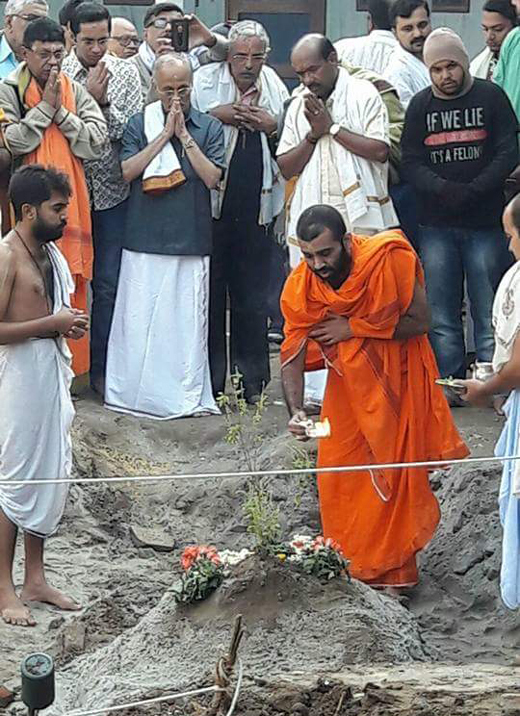 Guru Kintha mela inayuru illa. 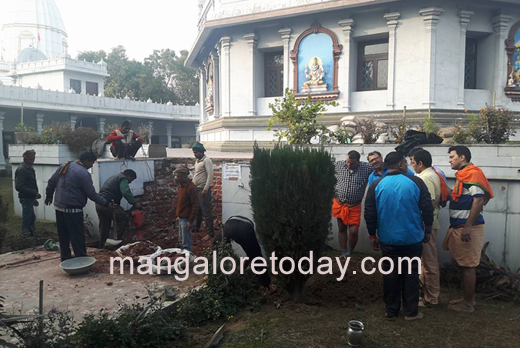 Guruvinalli Devarannu kanuttheve. 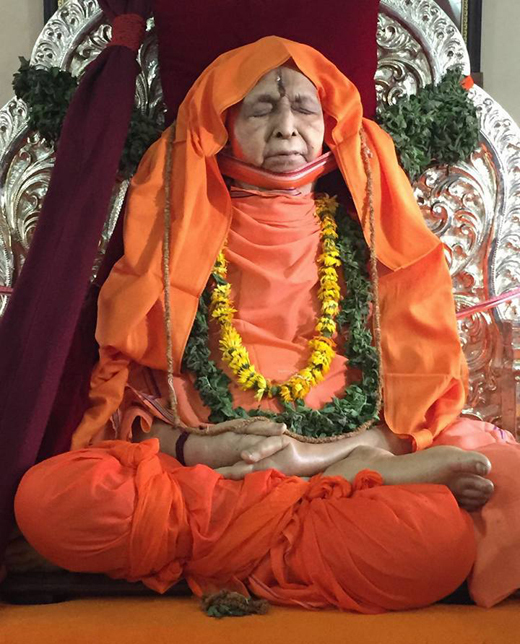 Sudhindra Swamiji Nimma Mathigalu innu namma kiviyalli prathi dwnaisuthide. Nimma paddakke navu namisuvevu. The person’s goodness and deeds he had done is known in his last journey from earth. Such a huge crowd gathered near his Samadhi.